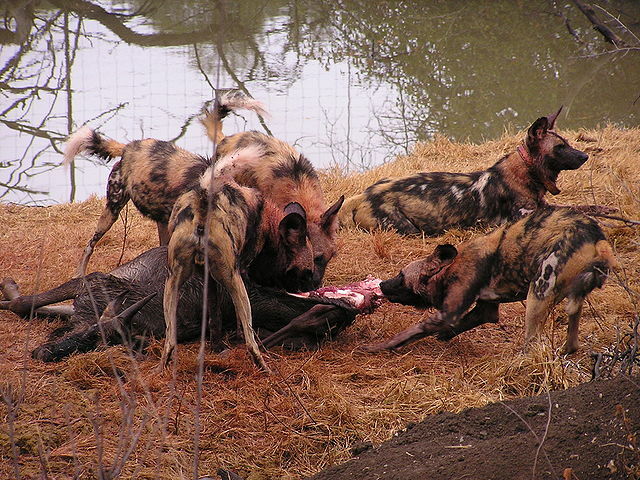 Painted Dogs were re-introduced back into the Madikwe Game Reserve in 1994 as part of Operation Phoenix. This highly endangered species number fewer than 5000 globally and can only be found in the larger reserves or in uninhabited regions of Southern and Eastern Africa. The founding group of six Madikwe Painted Dogs were drawn from a breeding station for rare and endangered species and from the wild near Kruger National Park. A team at Madikwe has carefully watched and aided the re-introduction of its Wild Dog Clans with some devastating losses through clan clashes, lion attack and rabies. Madikwe Game Reserve has gone to great lengths to ensure the maintenance of its Painted Dog Clans and successfully introduced new Wild Dogs from other reserves.